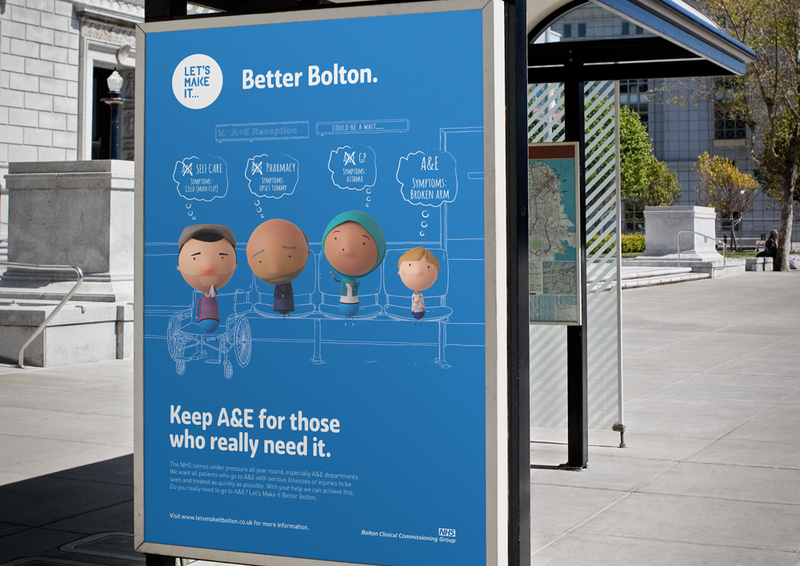 'Let's Make It' is the campaign run by Bolton CCG to help promote smaller campaigns and advice from the NHS. I created a brand identity and concepts for their first campaign which was to help raise awareness about other places you can visit rather than A&E. Rather than using photography as a basis for the campaign, I wanted to do something different to stand out from other NHS campaigns, so utilised 3d characters rather than photography. Collaborating with 3d animators, I art directed the style for the characters from concept to creation. The campaign was run out via various advertising means, online and offline.